Diane Teller joined Custom Insurance as an agency associate in January 2015. 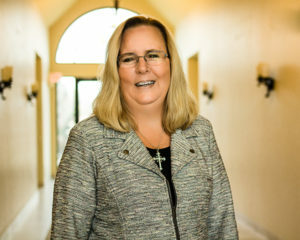 After obtaining her Bachelor’s degree in Business Management, Diane worked for ten years in the insurance industry as a claims adjuster and estimator. Diane then took the opportunity to stay home and raise her two sons. With both children now in college, she has returned back to work as a licensed producer, enjoying the insurance industry from the agency side. In her free time, Diane enjoys traveling with her husband, is an active volunteer at her church, enjoys golfing and spending time with her family and friends.